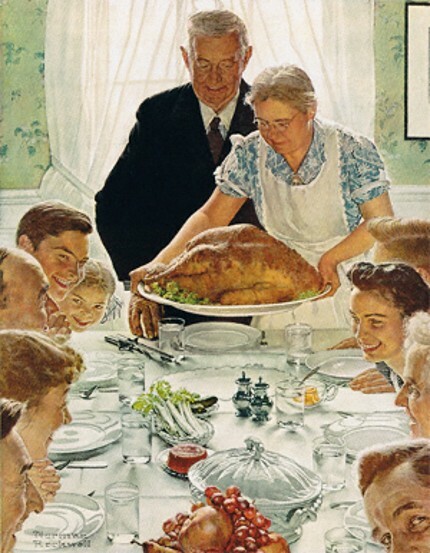 How often have we seen this famous Norman Rockwell painting and thought of our own Thanksgiving family traditions? Time to share family stories, noticing how much the grandchildren have grown, bringing a favorite Thanksgiving dish, cooking all day and hoping the food will not be burned or too dry, and giving thanks for the meal that was prepared with loving hands. Many people across America will not have this same family tradition. If possible, take time to help in a soup kitchen, a rescue ministry for the homeless, give to Coats For The Cold, prepare Thanksgiving boxes for needy families, or invite an aged member of your church to your home for Thanksgiving dinner. You will be greatly blessed. This Thanksgiving hymn reminds us of God’s grace and mercy. From her rich o’er flowing stores.